This weekend, I finally did it. BACK TO SCHOOL SHOPPING. With my youngest heading off to school for the first time and my daughter with her last year at intermediate, the mom butterflies are truly setting in. Twice the teachers, twice the homework and twice the shopping. I have to be honest, however, that aside from the money, I love school shopping. Even as a kid I was like bring on the fresh notebook paper, the pretty highlighters, the unused erasers and the sharp scissors. And as I prep my kids for full backpacks and daily packed lunches, I know that getting back into the school mode starts NOW. 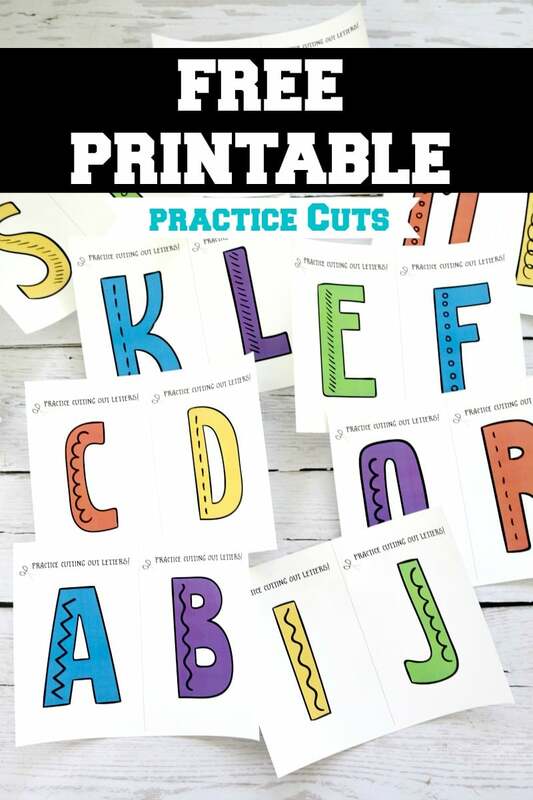 Practice preschool, Kindergarten and beyond, scissor fine motor skills by cutting out the Alphabet. 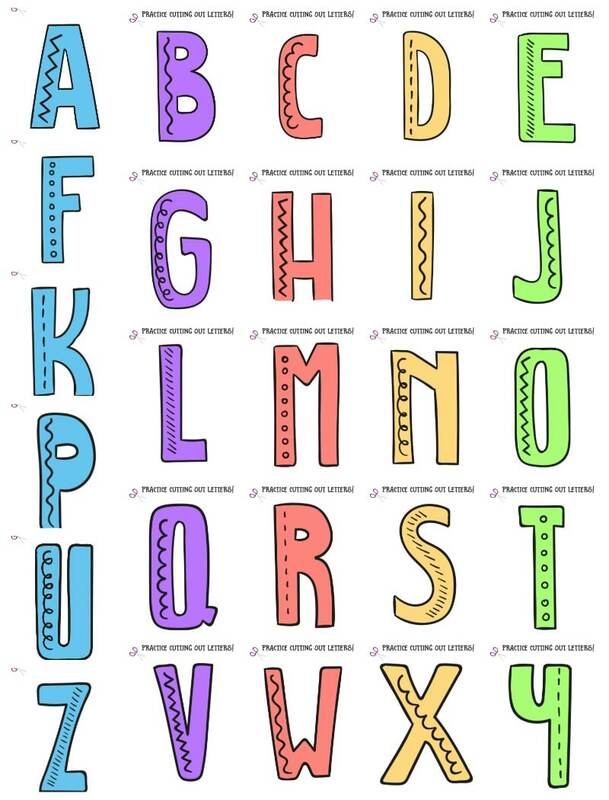 Each letter can be printed full page for young kids or do 2:1 or 4:1 to a page for detailed cutting and older kids. PDF File download with all 26 letters and may be used in classroom or homeschool environment. If you are in the same back to school mode like I am, I wanted to share a few things to help make your pencil box preparation a bit easier. Fiskars, famous for the iconic Orange-Handled Scissors, has scissors that are perfect for kids of all ages. 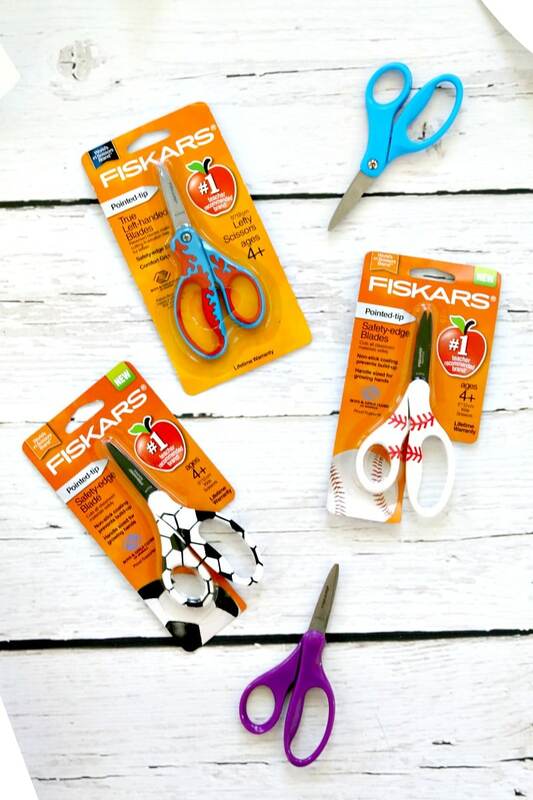 Fiskars Kids Scissors are the #1 teacher-recommended brand in scissors, and are available in blunt or pointed tip blades to meet your teacher’s preference. With a non-stick blade coating, cutting through materials with sticky adhesives such as tape or glue is easier than ever. Plus, this year, Fiskars makes getting creative at every age safe, comfortable and fun with their new line of 5” MVP Non-stick Kids Scissors. 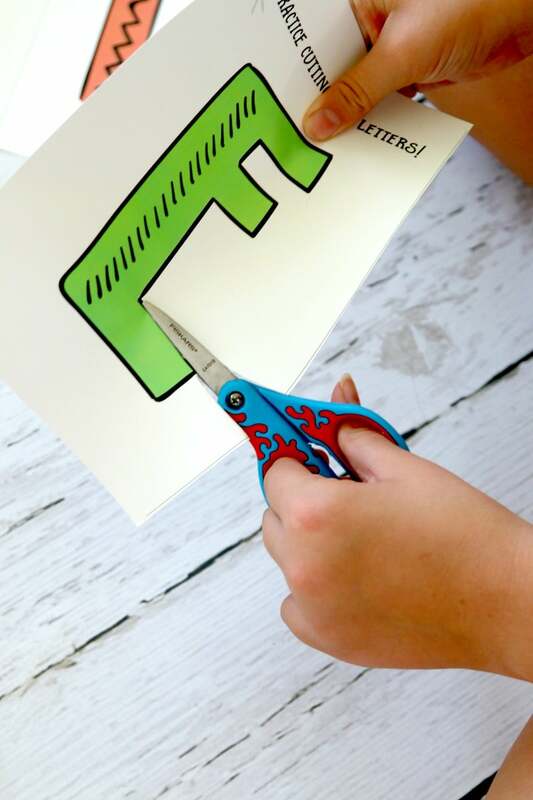 For younger kids, it’s easier to do cuts that are larger. Each one of the letters can be printed on one page. 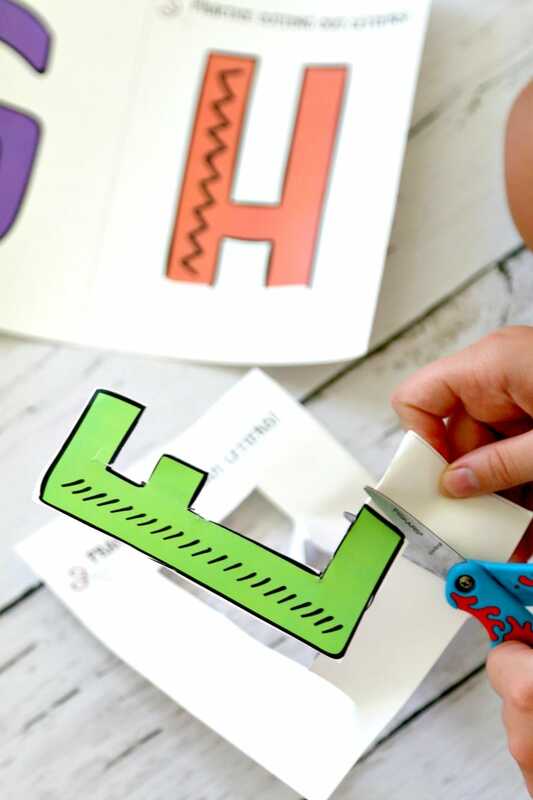 I would encourage parents to print letters that spell specific names, or simple words like MOM or DAD to get started. Plus, with Fiskars Kids Scissors, it’s so fun! 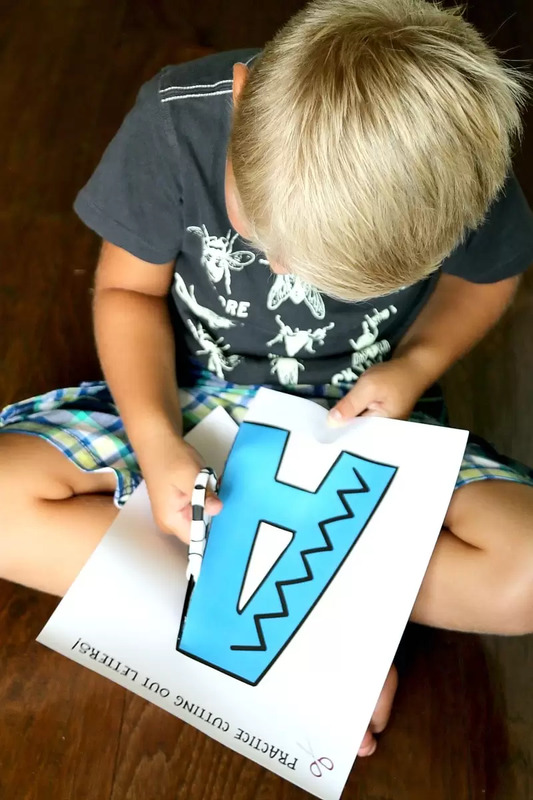 Here is Phoenyx, 4, practicing a full letter cut. For older kids, typically ages 6 and up, you can choose to print the printable in a 2:1 or a 4:1. This is simply done by a printer setting. It allows you to print the PDF file with more than one slide on each page, making the letters smaller. Smaller letters allow you to practice sharper and more refined cuts. Most printers have a drop down that says “Pages Per Sheet,” where you can simply change how many letters print. This is Charlotte, 11, practicing on two-a-sheet. Charlotte is left-handed and loves the True Left-Handed Fiskars Kids Scissors, which makes cutting smooth and effective for left-handed kids. Visit Fiskars on Facebook, Twitter, Instagram, and Pinterest for more ideas and inspiration. Thank you, Fiskars, for sponsoring this post!